Hunting is one of the most adventurous real-life sports game. People all over the world enjoy birds hunting. Hunters love the lake and forest environment for hunting animals and birds. Now, everyone can enjoy & experience the hunting with the real forest and lake environment on their mobile device with the amazing 3D real game play effects and features. Wild Duck Hunter 3D – Real Wild Hunting Game is full of amazing features for the great hunters to enjoy. 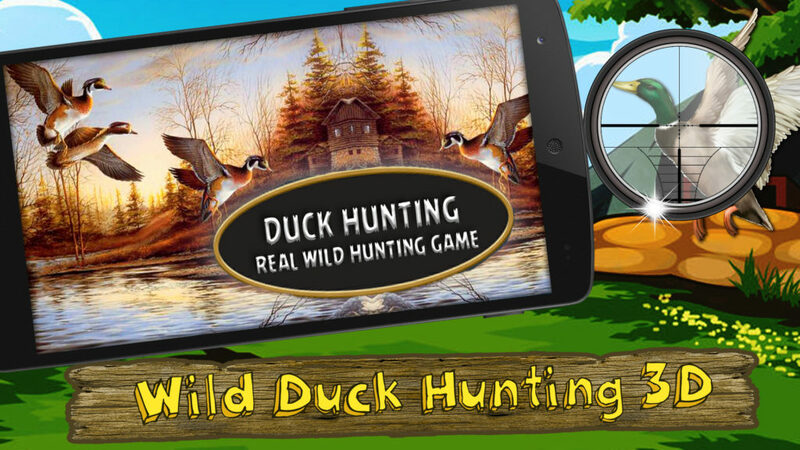 Wild Duck Hunter 3D – Real Wild Hunting Game is one the best fun packed, action hunting game of the birds and animals with the realist gameplay features. Hunt Ducks in the wilderness of the forest and at the Lakeside as the Hunting fever is at peak. Keep the sharp eyes for the passing by other hunting animals giving the real forest experience to players. The game gives the close view of reality to the players by selecting a location and moving to the locations for hunting, the different hunting locations included are Forest and Lake to show the hunting skills to hunt the ducks and some other animals as well in Wild Duck Hunter 3D – Real Wild Hunting Game. Hunters can visit the marketplace in the town nearby to sell the goods gathered during the hunting that includes Ducks Feathers, Meat, and other animals. The artifacts like horns, skins, feathers etc. can be sold at high prices. The Coins or the Money gathered by the selling of the products and will be used to unlock new guns and upgrade your hunting gear. Hunt as many ducks and other animals to unlock and upgrade your arsenal. Start your Hunting experience and compete in the world-class leaderboard. The game beta version with the basic features of is available, stay tuned as new features will be included shortly in the game upcoming versions.